2016 is drawing to a close and we're already looking forward to everything a new year will bring. It gets started quick when the Consumer Electronics Show kicks off 2017, but before we start ogling at all those products that may or may not ever see a store shelf, it's time to take a glance back at the year that was. Many products showed up on the BetaNews doorstep this year and we all worked hard to bring you an overview of them so you'd know what to buy and what to avoid. Now it's time for me to take a look at a few of my favorite items from the past 12 months. There is nothing more empowering than a good universal remote and few companies do that as well as Logitech with its Harmony line. The great thing about these isn't just the touch screen, the pre-programmed scenarios such as "watch TV" and the control of your media cabinet. The Harmony does so much more. It controls a range of home automation devices as well, including the Nest thermostat, lights from such places as LIFX, Lutron, Philips and much more. In other words, there is very little this object can't do. 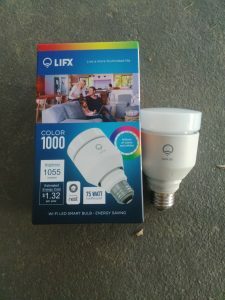 Since we're on the subject of home automation, a theme that will run through this article, LIFX released a great new light bulb this year. We took a look at it a while back and found a good alternative to the Philips Hue. LIFX works with both Harmony remotes and also Alexa so you have easy control. The latter allows you to simply ask for the color to be changed, as well as the normal on and off. The Asus C201 is not particularly special, I suppose. It's a standard 11 inch 16 GB Chromebook with nothing fancy. It comes in models of 2GB and 4GB and the two should work well for many. An 11-inch laptop can take a bit of getting used to. It's much different from a full-size keyboard, but you'll be up and running in no time. The screen is just fine, as are the speakers. You'll need to learn a few keyboard shortcuts, but that isn't a problem. I work from it on a daily basis and have no problems. Word online and Pixlr for images will suit your needs. The biggest draw for this product is price -- you can grab one for $159 from Amazon, which is hard to beat, and it's lightweight portability. I know, I know, "Alan, this didn't come out in 2016". That's true, but I'm using it more than ever and it's perhaps my favorite product in the house. It controls the lights in my living room using GE Link bulbs, it controls the lights in my kitchen using Cree bulbs, it controls my bedroom with LIFX bulbs. I play music from it and play Jeopardy each day. But, and this is a bit embarrassing, my biggest use may be setting a timer for cooking and baking. Sure, my oven can do it, but it's not as simple as just saying "Alexa, set a timer for 20 minutes". There are other products that passed by, and some were good, but these were the ones that stood out to me in 2016. 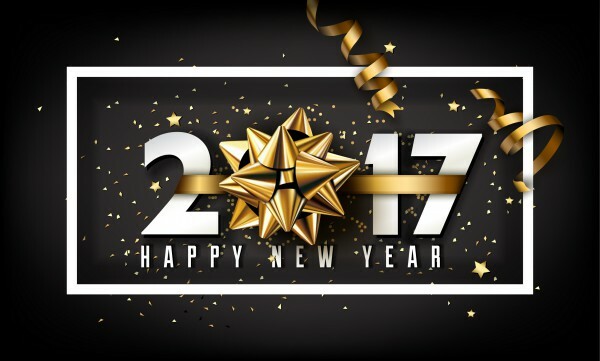 Here's hoping to a great 2017 and happy new year to everyone out there.